Fr. 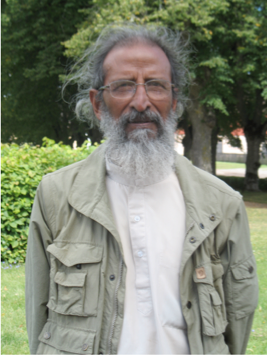 Ama Samy is a Jesuit priest from the Madurai Province of India, who with the assistance of the famous Fr. Enomiya Lasalle SJ came over to Japan in order to undergo training in Zen meditation, under the direction of Zen Master Yamada Ko-un Roshi of Kamakura. Yamada Ko-un Roshi was the disciple of Yasutani Haku-un, who in turn was the disciple of Harada Dai-un. Harada Dai-un was a Soto Zen Master who had also undergone Rinzai Koan Zen training. The book THREE PILLARS OF ZEN edited by Kapleau provides us with information concerning Yasutani’s Zen teaching. Yasutani along with Yamada Roshi founded the lay Zen school of Sanbo Kyodan. Fr. Ama Samy was authorized to teach Zen by Yamada Ko-un, and he was given the name Gen-un Ken. Yamada Roshi passed away in 1989 and Fr. Ama Samy is now an independent Zen Master with his own Zen school named Bodhi Sangha, and he is no more a member of the Sanbo Kyodan. His method of teaching embraces both Soto and Rinzai Zen traditions, and draws on the resources of both Christianity and Hinduism. He stands true and faithful to the Zen heart-mind and the heart-mind of people today. 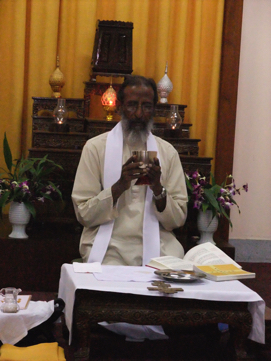 His Zen center named Bodhi Zendo is located in Kodaikanal in the state of Tamilnadu, and he travels frequently to Europe, the USA, and Australia in order to lead Zen sessions. He also provides support to many social projects in and around the area.